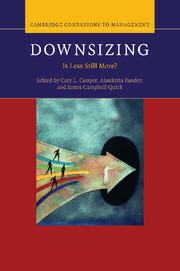 The most controversial aspect of institutional regeneration in North America and Europe has been the restructuring of labour relations. 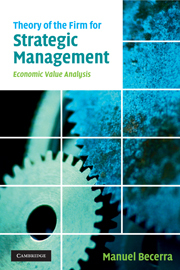 Media attention has been drawn to the resulting claims of excess employer power: however, supporters of union reform point to the spate of strikes in Western Europe as the predicament that the UK has escaped. 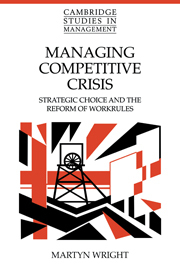 In this book, Martyn Wright examines how competitive crisis affected the management of work relations in Britain between 1979 and 1991. 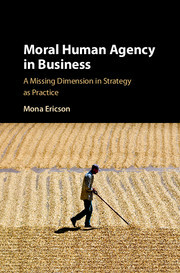 Using longitudinal analysis and a wealth of case study material from companies and employers associations, the study moves beyond the normal cross-sectional survey to reveal a complex pattern of procedural and substantive rule change, and illustrates considerable variation in the context to which competitive crisis was harnessed by employers to generate an ongoing momentum for change. 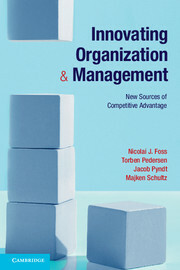 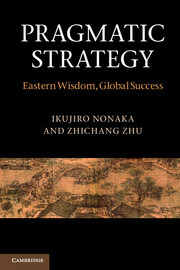 Managing Competitive Crisis is a must for students of organisational change.